We are finishing our week of big bold color off with the best possible East Coast version that we could muster. 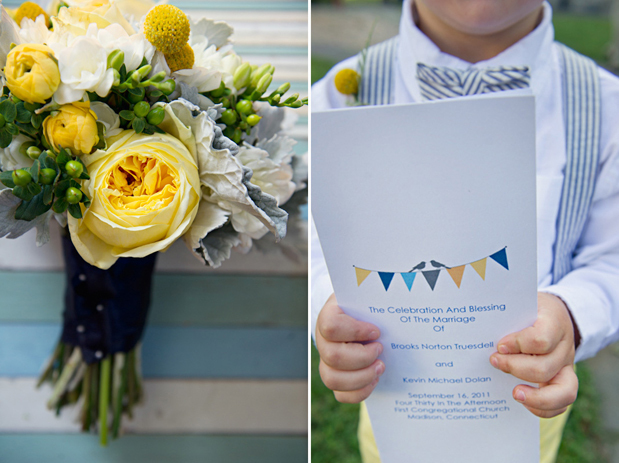 Brooks and Kevin’s wedding (shot by one of our new Grey Collective Members, Carla Ten Eyck) shows off iconic navy and white stripes, with pops of aqua, yellow, peach and grey, with florals by BLUSH floral design. 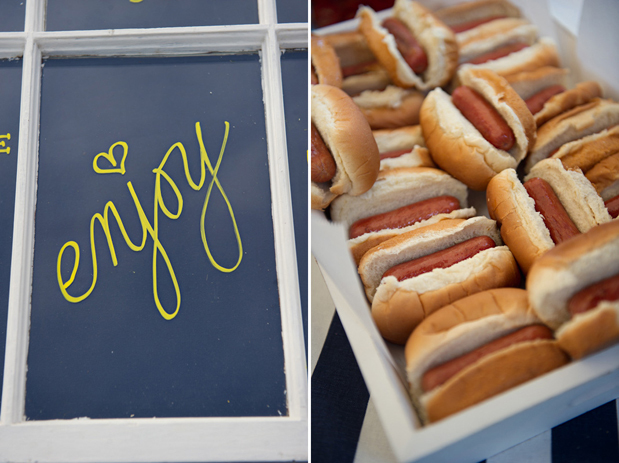 One of our favorite Americana touches are the picnic basket centerpieces matched with classic outdoor fare like sliders and hot dogs. 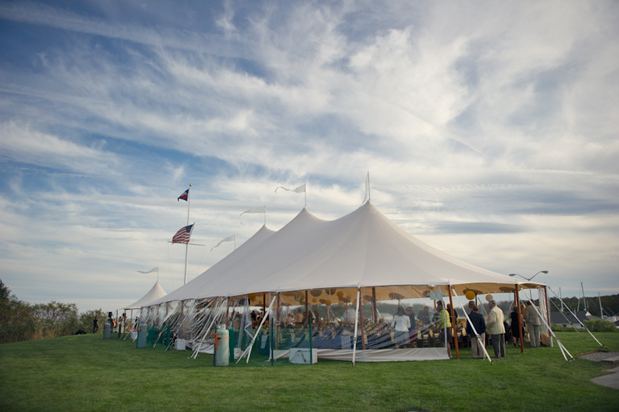 Everything is so comfortable and relaxed, yet completely elegant with just the right Connecticut prep. 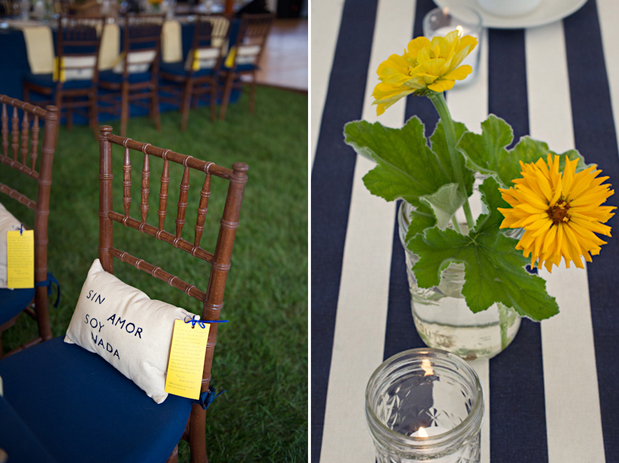 Designed by Candice Coppola of Jubilee Events, we can’t imagine a more perfect seaside wedding. 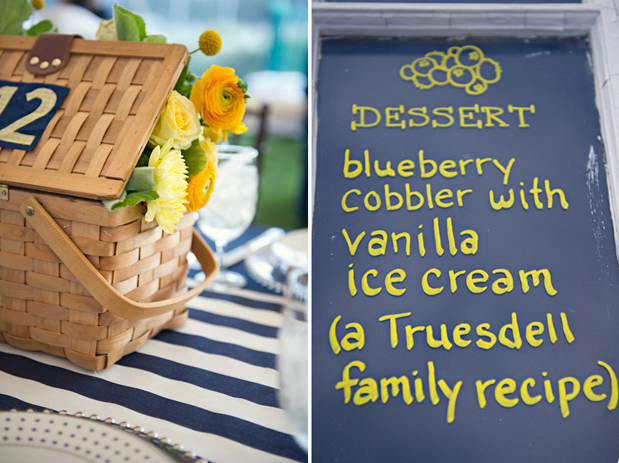 A few weeks after our engagement we attended a fundraising event for Abilis in Greenwich, CT. Every attendee was given their lunch in a mini picnic basket which I found to be adorable. Everyone was told they could take the baskets home with them, but when the hoards of people left, many left their baskets behind. I hurriedly found the event planners and asked if we could take the remaining baskets to reuse as our centerpieces at our wedding… twenty some odd baskets later our wedding plans were officially underway! As a typical bride might do I scanned the pages of wedding magazines and of course wedding blogs for inspiration. One of those inspirations was Candice Coppola of Jubilee Events who quickly became our best investment (other than the freebies I acquired, such as the picnic baskets and windows I found in a dumpster, but that’s another story). 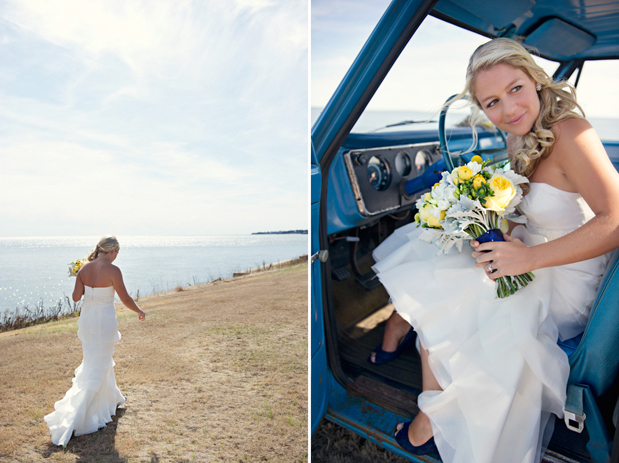 Within a few weeks of beginning to work with Jubilee Events we had an unbelievable florist (Studio Blush), an incredibly talented photographer (Carla Ten Eyck), the most amazing band (Eturnity Star), a gorgeous hair and makeup duo (Jennie Fresia Beauty Library), a wedding dress I adored and am pretty sure Kevin did too, (the dress is Modern Trousseau from The White Dress By The Shore), delicious and creative food (Jordan Caterers) and so much more. 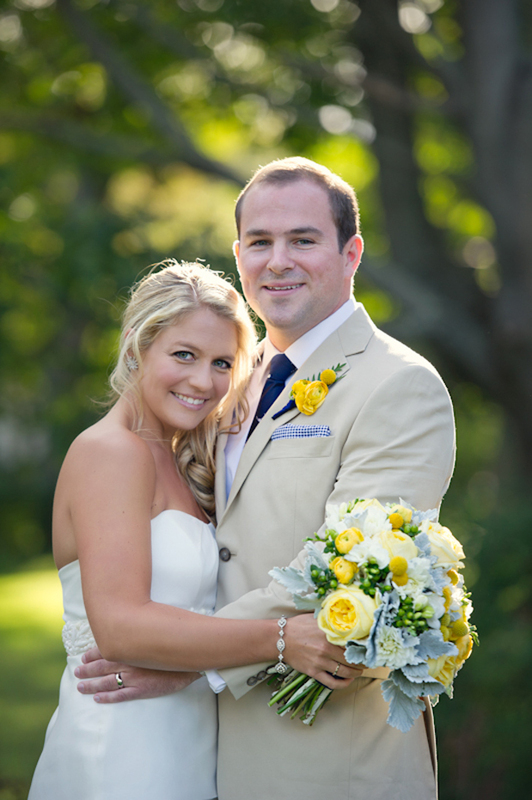 We always knew we would have our wedding in Madison, CT, one of our favorite places. My family on both my mothers and fathers side, have been either living in or visiting Madison since 1922. My grandmother, great aunt, aunt, and one sister were all married in The First Congregational Church of Madison, so it only seemed natural. Down the street is The Madison Beach Club where we originally intended to hold our reception, but Tropical Storm Irene had other plans for us and we ended up with a tent wedding at The Guilford Yacht Club. I could dwell on the fact that we had to frantically throw together a wedding in a new venue, but I won’t, because even though those days of re-planning were painful, they were worth it and no one knew the difference. 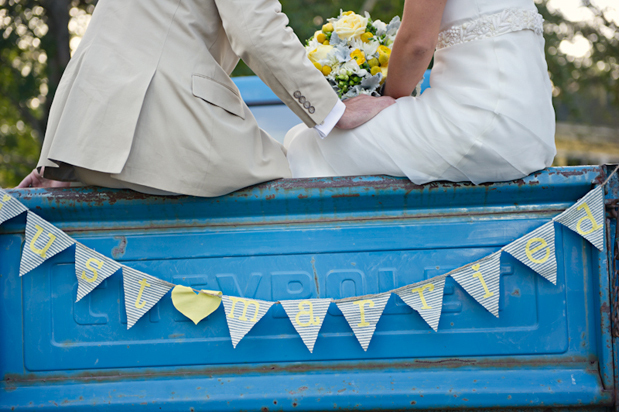 Looking back, we spent so much time on personalized details that the wedding could have taken place anywhere and we would have been thrilled with the outcome. I’m thankful to everyone who put up with us (mainly me) during those days where so much seemed to be up in the air. 1. A guest book made out of quilt squares that my aunt is now sewing for us. 2. Pennant flags cut out of extra yellow fabric from my parent’s attic and glued onto twine found in the basement. 3. Picnic baskets with table numbers cut out of the same pattern my mom’s bridesmaids wore and glued on by my best friends. 4. Our sweet ride from the church to the reception in a 1973 Chevy pickup named “Big Blue” borrowed from our neighbors in Madison. 5. A photo booth with an African sunset back drop painted by my best friend, African stuffed animals borrowed from a local thrift shop, and instant camera given to us by Kevin’s parents. We went to Tanzania for our honeymoon and were too excited to wait for photo opportunities! 6. Windows found in a dumpster behind our apartment which served as our seating chart and menu’s for the night, using chalk markers to write and draw with! 7. Table runners cut by hand by my mom and myself straight from a bolt of fabric until we had blisters on our hands! 8. Our entrees were fish and chips or steak and onion rings, both with a corn/tomato salad recipe of my mom’s, while dessert was blueberry cobbler with vanilla ice cream, a recipe from my family that we make every summer in Madison. 9. My dad and I danced our first dance to Sweet Caroline while wearing red sox attire as both Kevin and my family are big Red Sox fans. 10. My bridesmaids (my 3 sisters and best friend) sang Amazing Grace while Kevin and I lit the unity candle during our ceremony. 11. Pillows for EVERY guest made from scratch (meaning a bolt of fabric, paint, stamps, needle and thread, and stuffing) with the help of Kevin, my family and a very dear and unbelievably selfless friend while watching Christmas movies in our apartment. The last detail, the pillows, deserve a special mention. For the past seven years I have worked with an orphanage in Ayacucho, Peru called La Casa Hogar Los Gorriones. I have been inspired by their work and humbled by their thankfulness. We made the pillows as a “give away” item at our wedding to let our guests know that we have donated to the orphanage in honor of their presence at our wedding. The moto of Los Gorriones is “Sin Amor Soy Nada”, without love I am nothing, which is what we stamped on each pillow. I hope soon to visit the orphanage for the third time myself, but for the first time with Kevin. Loving everything about this!! Stunning! 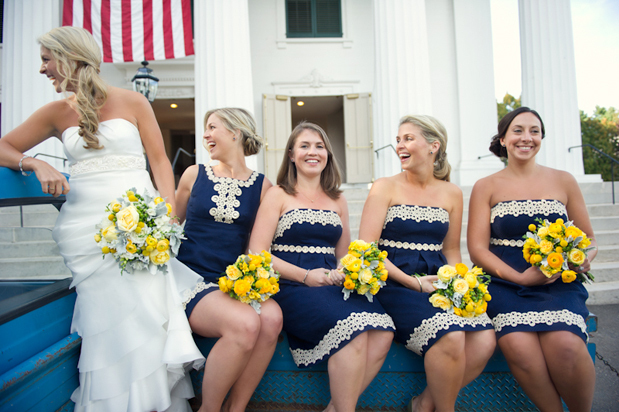 those bridesmaid dresses are fabulous! definitely wear-again material :) good one, bride! I absolutely love your color palette! 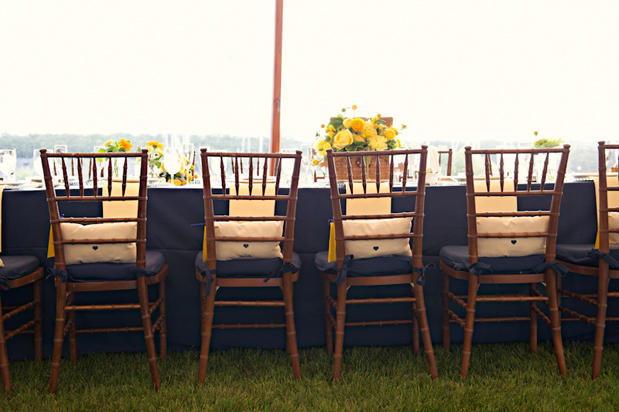 The navy and yellow is stunning! The wedding looks amazing! Thanks for sharing! I love the color palette. 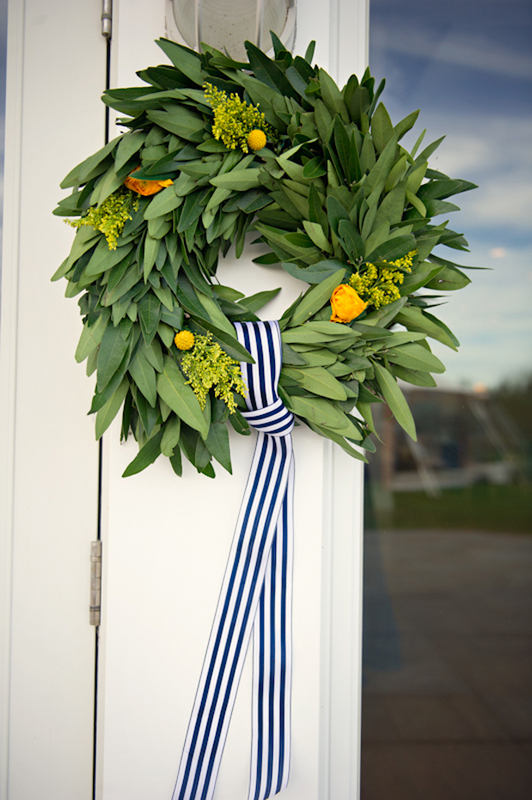 Those yellowed floral arrangements are gorgeous...what do you have in there? Are those peonies and ranunculus? LOVELY! Beautiful wedding. The bridesmaids dresses are lovely, who makes them? 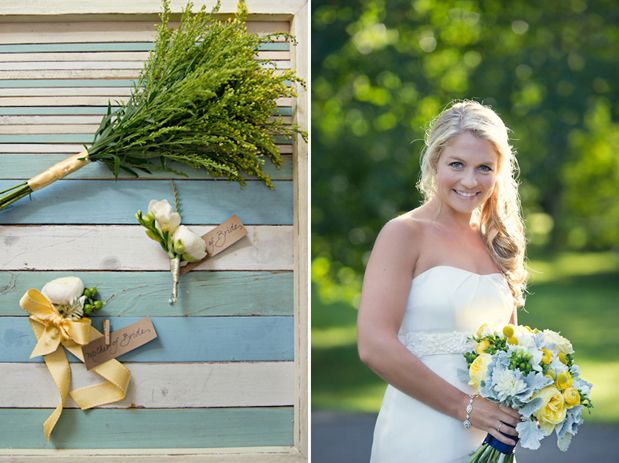 This wedding is adorable with the colors and textures! Thanks for sharing! 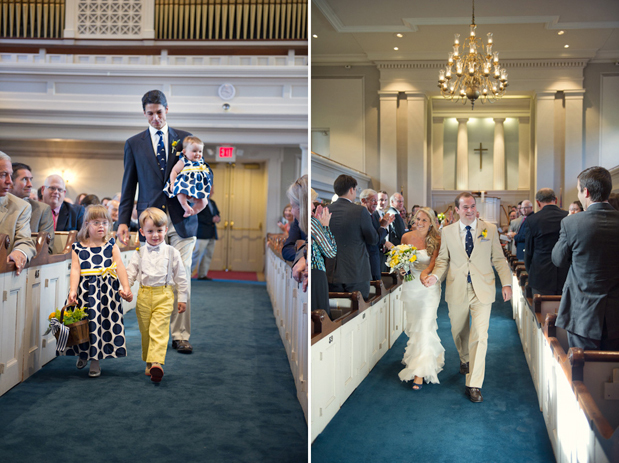 Very nice looking wedding photos! Wow! I love the bridesmaid dresses.....They look great. Hi everyone, thanks for the kind words. 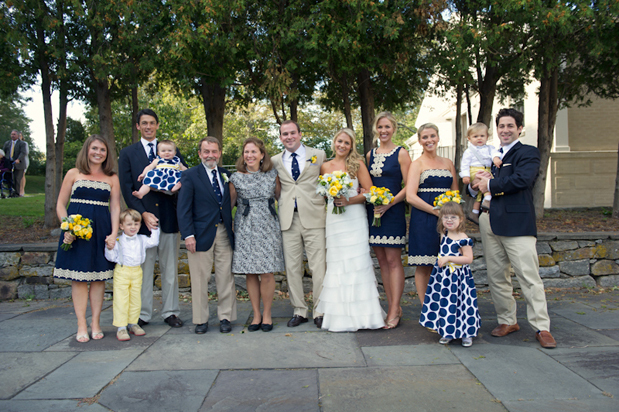 I wanted to note that the bridesmaids dresses are actually from Lilly Pullitzer though... not from Jcrew or Kleinfelds as it says at the end of this post. Someone also asked about the flowers. 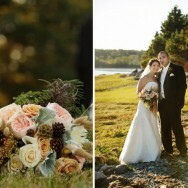 They're ranunculus and our florist Elisabeth from Studio Blush was amazing! 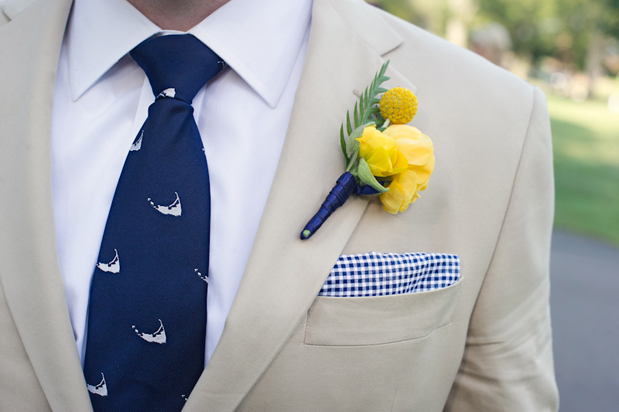 The navy and yellow combo = the best! Love this. Thanks so much for taking your time to create this very useful and informative site. 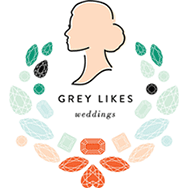 I am always looking for a site about wedding dresses ,now,I've found it.I have learned a lot from your site. Thanks!! I think you have done an excellent job with your site. I will return in the near future.